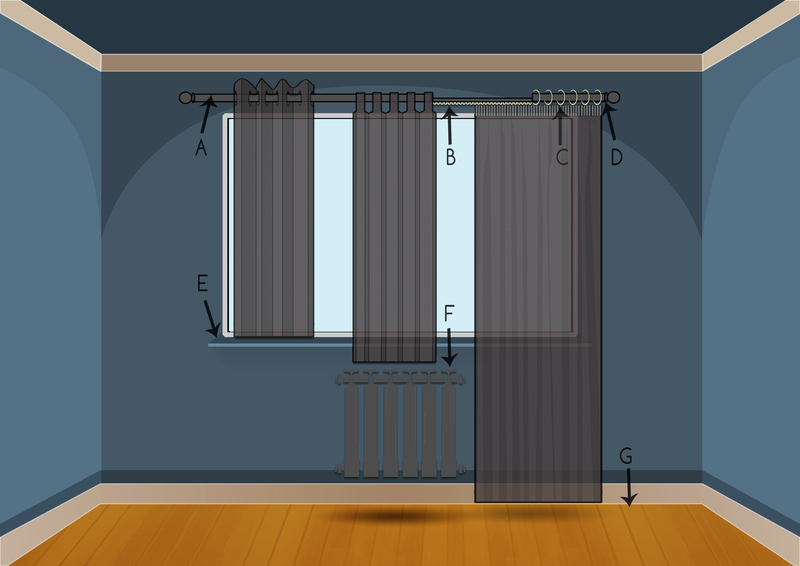 How to measure your curtain? Before taking measurements for your curtain, it is important to make sure your curtain pole or track is installed in the recommended location. 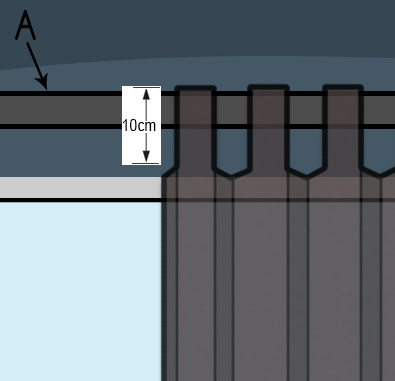 The curtain pole/track should extend at least 15-25cm to either side of the window, and 15cm above the top of the window. We recommend you use a metal tape measure, which will not stretch. These measurements are the same for pencil pleat, double pleat, pinched pleat and goblet pleat. If you have a curtain pole, measure from the bottom of the curtain rings (C). If you have a track, measure from the top of the track, or the bottom of the track rings (C). If you have a curtain pole, measure from the top of the pole (A). 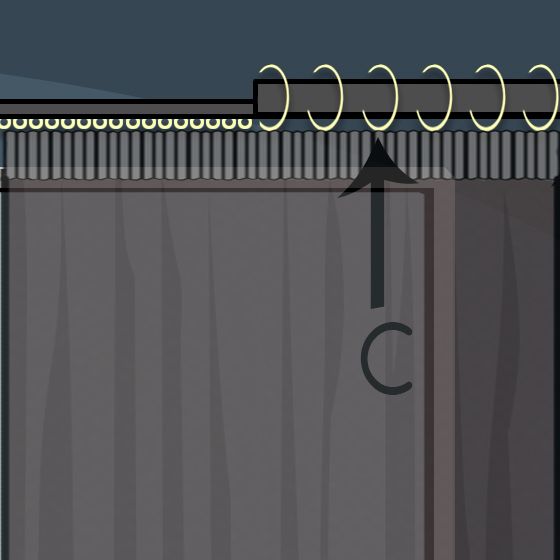 The finished curtain length should be the length you have measured from (A) which included 10 cm tab folds over the curtain pole. This is suitable for poles up to 45mm in diameter. The hanging length may vary slightly on the different diameter poles. * Please measure from the top of the curtain pole to the very top of the window frame. 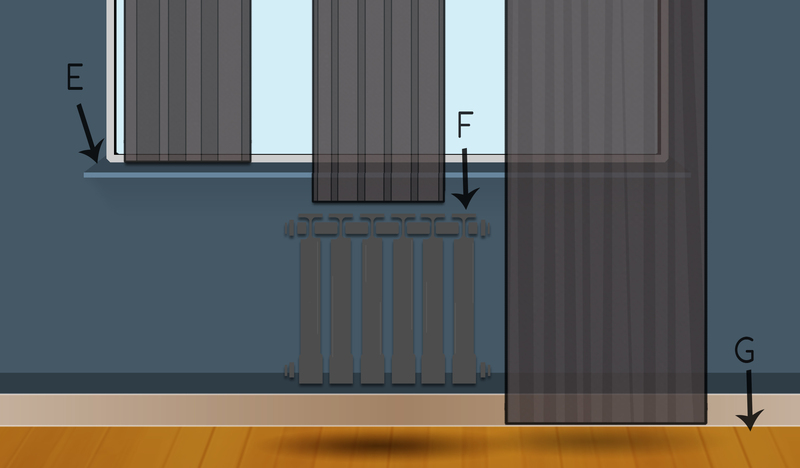 This is important because you want to ensure your curtains completely cover the top of the window. Therefore, when hung over the curtain pole, the gap must be longer than the finished tabs. 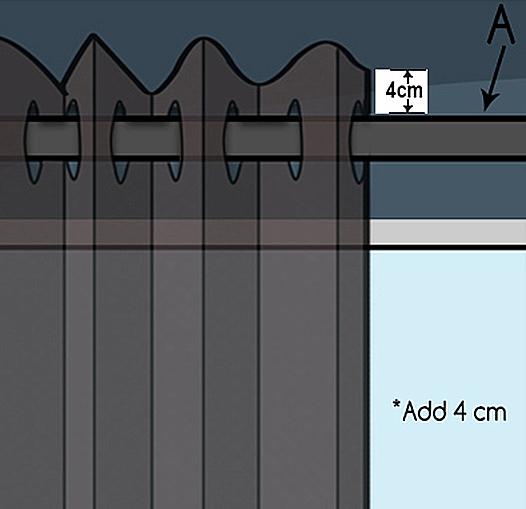 Measure from the top of the curtain pole (A) and then add 4 cm to your measurement. The eyelet will fit poles up to 30mm in diameter.